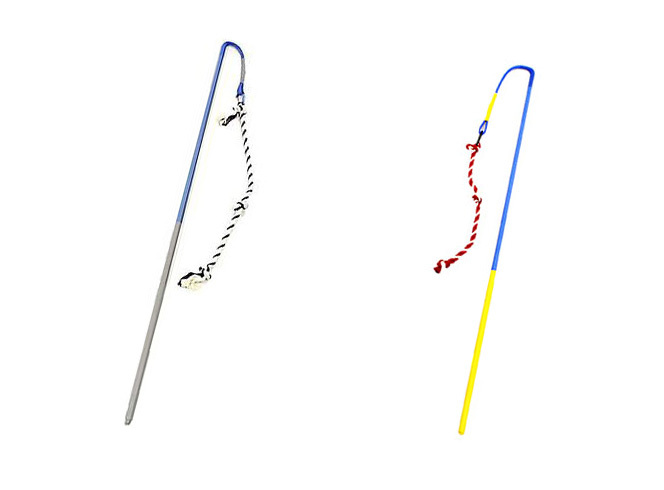 Too lazy to play with your dog and you've already exhausted other toys like the automatic dog fetch machine and the laser pointer dog collar? 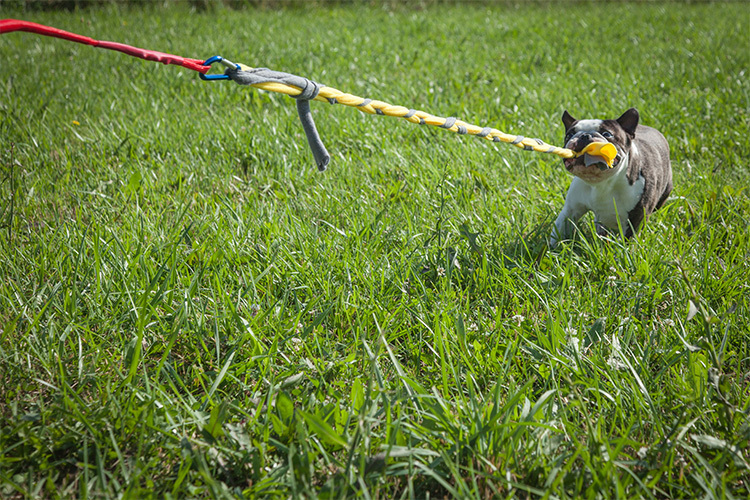 Well, next up is the Tether Tug. 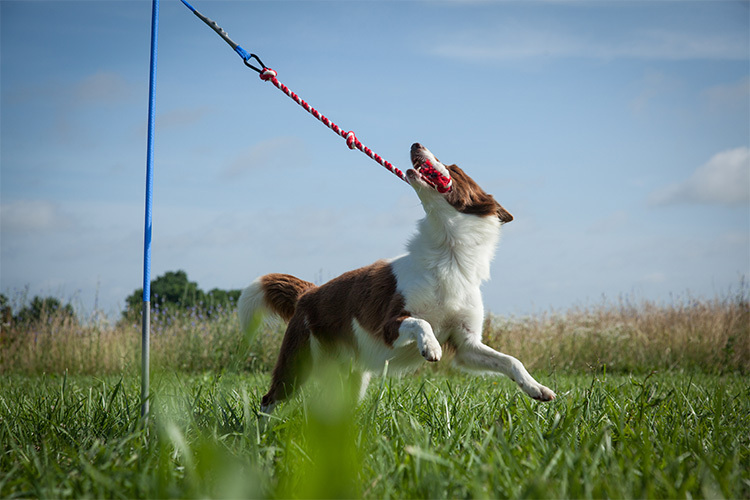 The Tether Tug is essentially a tug-of-war type dog toy that is tethered to the ground that lets your dog tug away until their heart is content. 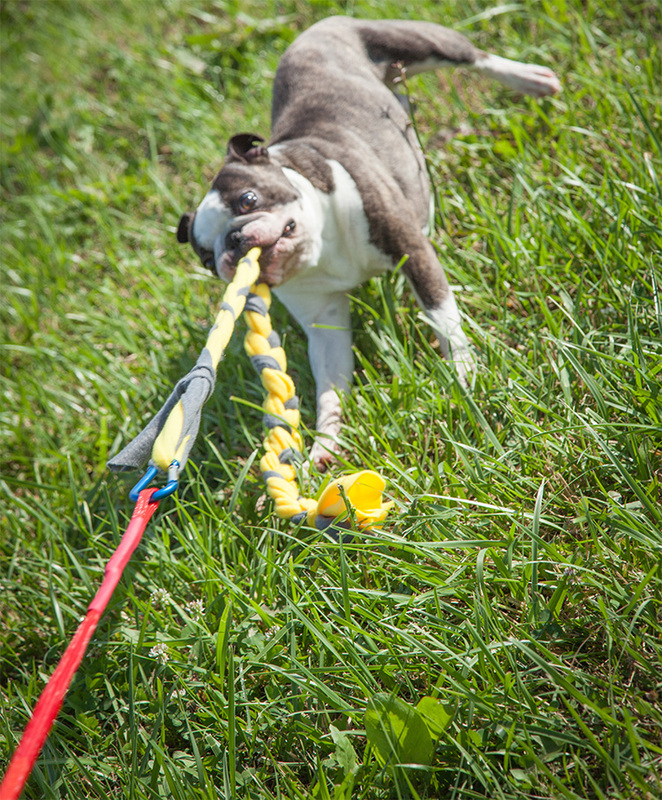 Not only will it wear your dog out, but it will hopefully teach them that they will not win every round of tug-of-war and bring their confidence down a notch for the next time that you have to actually play tug-of-war with your dog. 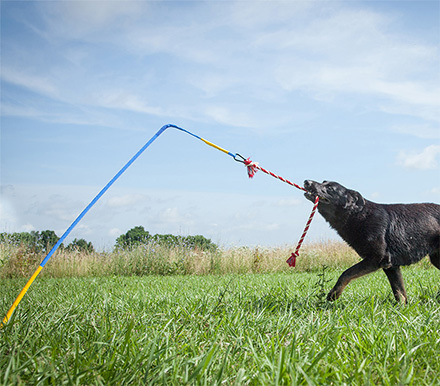 The Tether Tug sinks right into your grass and has a bendy rod that has a rope attached to it. 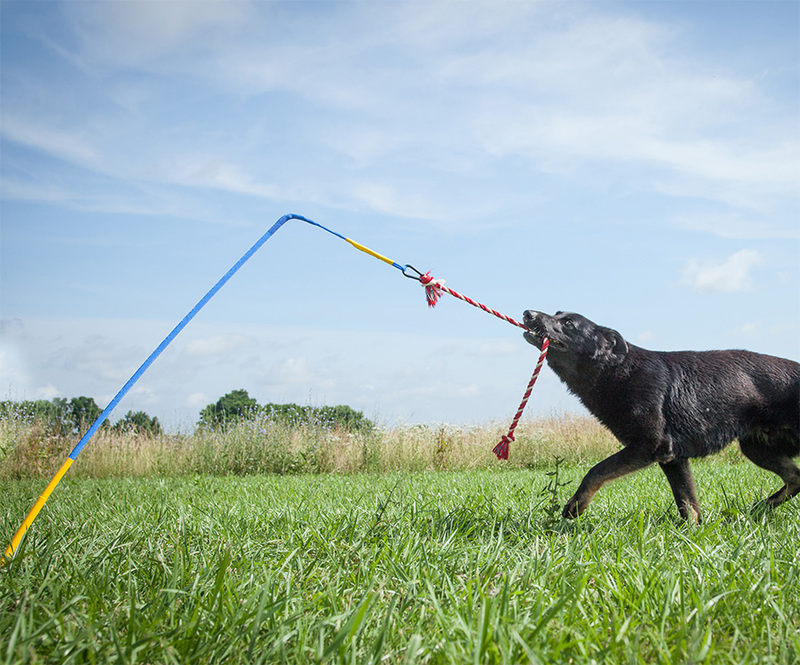 As your dog tugs on the rope the rod will bend and pull back making your dog think they actually have a chance of winning. 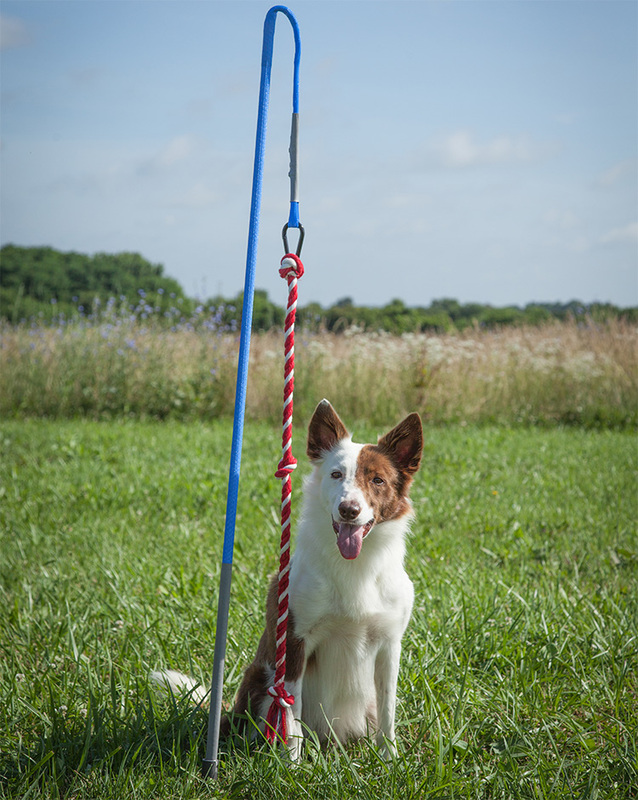 The self tugging dog toy comes in a few different sizes to choose from depending on the size of your dog, is super easy to install in your backyard or wherever you plan on using it, is for outdoor use only, and will bend and flex in any direction. 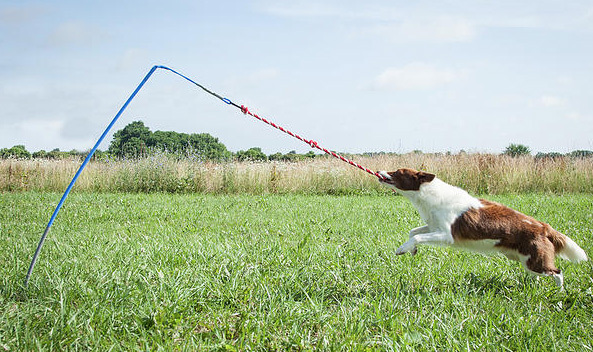 Not only is the toy fun for dogs to play with for hours on end, but it will make it safer for you as well, since now you won't have to risk getting your arm ripped out of it's socket while playing tug-of-war with your dog. 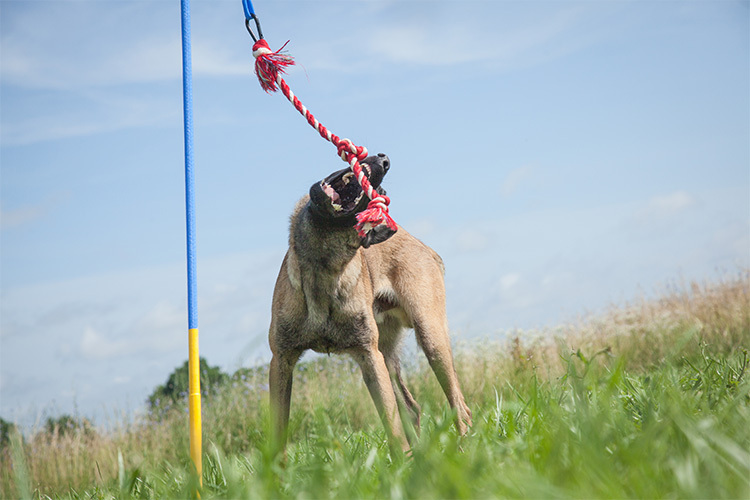 Check out the Tether Tug dog toy in action via the video below.